If you've been a nurse long enough, you've probably heard that earning a BSN is important. But just how important is it? Turns out, it can be a real differentiator. Whether it’s opening up more career possibilities or helping you earn more money (sometimes even for some of the same things you are doing now!) getting your bachelor’s degree can be a big career boost. Completing an RN-BSN program greatly increases the jobs available to you in your career. Right now you may love the direct patient care you get to do as an RN. But, what about five, 10 or 20 years from now? 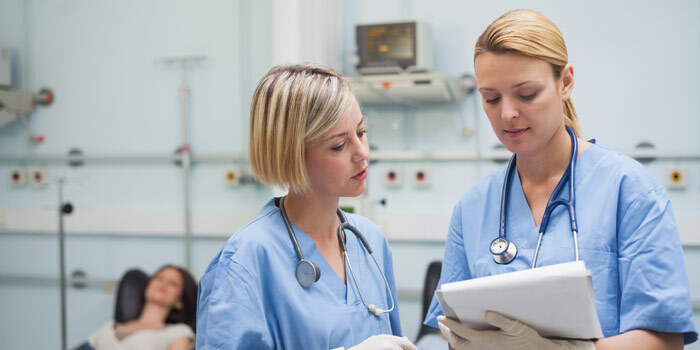 If you want to move up to a leadership role, work in a specialty area, become a nurse educator, or take on broader clinical responsibilities in the future, you'll have to earn a bachelor's degree. It's also important to know that ever since the Institute of Medicine released its Future of Nursing report, calling for 80 percent of nurses to have their BSN by 2020, more and more hospitals have been raising the minimum education required for new hires. Beyond the increased possibilities for your career, having more job opportunities also means getting paid more. The higher ranking or niche positions available to nurses with a BSN come with a bigger salary than basic nursing jobs. So while nurses with an ADN and a BSN will earn the same salary for the same nursing position, the BSN will have greater earning potential over her or his lifetime. How much more? According to the federal data site the National Center for Education Statistics, across all industries bachelor's holders earn, on average, 29 percent more than people with associate's degrees! Going back to school can be hard work. You have to balance your job with coursework and everything else you have going on in your life. While we know your own career dreams and money aren't the only things motivating you to think about earning your bachelor's, they can be great reminders of what you are working toward in your degree program.